Computer program designed specifically to run on a mobile device like smartphone or tablet. JASStek smart city app provides real time information on City government, events, citizen interactions. 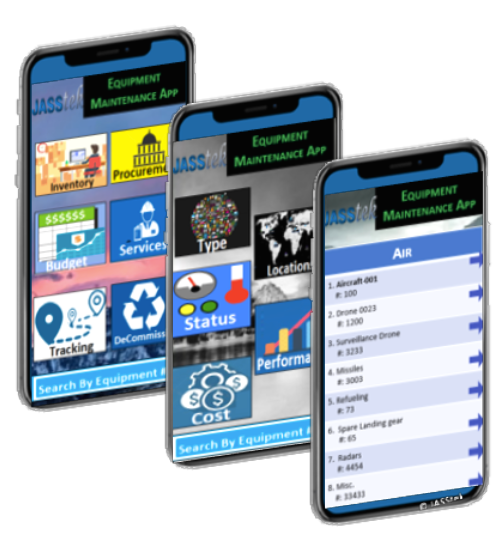 JASStek’s tracking app provides information on equipment procurement, location, status, etc. JASStek’s trip planning app is a part of smart city agenda enabling transportation via multiple nodes. JASStek’s Blockchain provides real time information on ledgers, access blocks, and status. JASStek’s Museum app is an enhanced customer experience using AR / VR and guided virtual tours. JASStek Financial, Operational, Blockchain dashboard is build on JASStek’s proprietary ABCD platform. JASStek has experience in delivering various apps for custom requirements using iOS and Android. Contact today, for conversation with Product App Solutions thought leader, to help you reinvent your business.